The lady wished in a haste not expecting to see her boss in the office. ‘Wasn’t he suppose to be in New York?’ She thought absentmindedly but didn’t have the courage to ask out loud. “Ask Khanna to meet me in my cabin. “ Saying so he walked inside his cabin in his usual cold demeanour. Sitting on the chair, Sanskar closed his eyes for a moment. The past three months had been too hectic for the man. For sure, setting up a new branch is not an easy job. Finally he is back to Mumbai but looking at the pile of files waiting for his acknowledgement Sanskar could not help but sigh wearily. A knock outside his cabin broke his musing. He answered sitting straight on his chair. “You called me Sir.” A man in his late 20s entered the cabin. “Yes, You got the information ?” Questioned Sanskar. “Yeah. Here is the file.” Mr. Khanna whispered handing over the file to his boss. “Tanmay Malhotra” Sanskar read out loud as he flipped through the pages. “If I wanted to know the basics I wouldn’t have asked you to search about him Khanna. 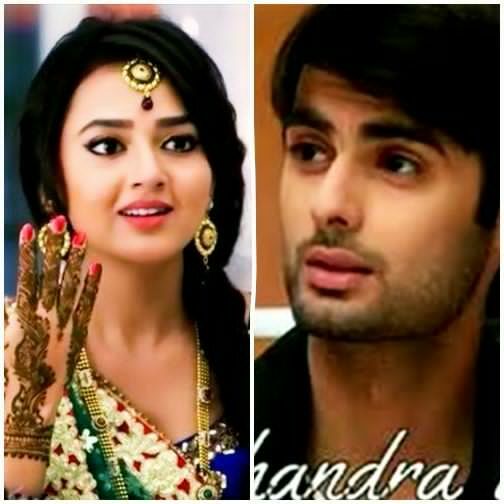 I want the hidden secrets.” Chided Sanskar. This caught Sanskar’s attention. He motioned for him to continue. “Ms. Ragini Thakur.” Sanskar who was casually flipping the pages for a while siffened on hearing the name. Mr. Khanna left the cabin immediately confused on his boss sudden change of demeanour. Even though he wanted to question his boss about his sudden interest in Tanmay Malhotra he lacked the courage to do so. “God knows what goes on in the mind of Sanskar Maheshwari.” He muttered under his breath before returning to his desk. On the other side a man picked up a royal blue colored invitation card from the cable. He continued to gaze at the names for a while stroking his thumb on the name of the girl and then walked out of his cabin throwing the invitation card in the dustbin.